In recent days, there have been many reports stating that numerous Android handset manufacturers are working on launching smartphones with their own forked versions of Android. 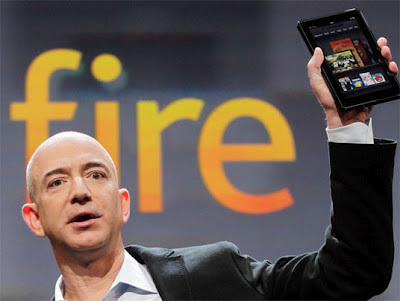 Recent comments by Skyhook CEO, Ted Morgan, and the success of Amazon's Kindle Fire seem to have fanned these flames even more. But ignoring Skyhook's stormy relationship with Google, is this really a sound business strategy for OEMs? Let's take a look. In order to truly understand whether this strategy makes sense, let's delve into the two primary reasons the Kindle Fire was successful with its Android forking strategy and attempt to gauge how well our other Android forking contestants would perform on those same metrics. This is the most obvious factor. At a price point of $200, the Kindle Fire was the first truly low cost tablet with the backing of a strong marketing & branding push. Since Amazon essentially sold the Kindle Fire at break-even to drive content sales, it was able to keep the price point low enough to attract numerous first time buyers. In addition, being the first mover into this segment created a lot of traction for the Kindle Fire among consumers. In developed markets, competing based on smartphone prices is not really possible because of carrier subsidies. There are scores of mid-range smartphones that are available for as low as $0-$50 with a carrier contract. And in developing markets, as Nokia has recently discovered, low cost Android smartphone manufacturers have already a considerable presence in the market. Clearly, there is no first mover advantage here. In the tablet market, the Kindle Fire is already a strong player, and with Google launching their low cost tablet in a few months, it will be difficult for other OEMs to compete with them on price, while making a positive gross margin on sales. Since content sales form a miniscule portion of the revenues of most OEMs, they do not have the option of making up hardware losses with profits from content sales. As shown by the survey, only 15% of tablet usage is for books, music or movies. The top 5 activities, accounting for 61% of usage, are browsing, games, email, social networking & news. And for these activities, Android (unforked) offers far more advantages than the Kindle Fire. In terms of media content, the Google Play Store is behind Amazon. But in terms of app selection, even though the Amazon appstore has been growing quickly thanks to effective monetization strategies, it is still far behind the Google Play Store. As per the latest figures, the Amazon appstore offers over 31,000 apps, while the Google Play boasts a collection of over 450,000 apps, most of which run well on 7 inch tablets. Now even though Amazon's offerings do not match the Google Play Store just yet, it is important to note that Amazon did give users enough apps and content to match expectations. Even though the Android operating system is open source, Google services, including the Google Play Store (formerly the Android Market), are not. This means that OEMs looking to fork Android for their devices must load an independent content library onto the device and most Android OEMs are clearly lacking in this area. Given that smartphone usage typically tends to focus even less on media consumption and more on browsing, apps, games & social networking, there is no OEM with the ability to offer a satisfactory ecosystem to consumers. Even OEMs like Sony can do nothing but offer a few playstation gaming titles. Even if OEMs are successful in licensing Amazon's forked OS for their devices, the lack of apps would be a severe handicap, putting them below even Windows Phone devices in terms of market performance. I would compare Samsung's level of success with the Bada OS as a good benchmark for any OEM looking to fork Android. It clearly hasn't gained much traction thanks to the low app selection. Conclusion - The combination of sufficient content and a low price point that Amazon used to make its Android forking strategy successful is extremely difficult to replicate, especially in the smartphone segment. It may be a low-risk move for small, low cost Chinese vendors, but there isn't much of an upside either. Given that any attempt by any large OEM to fork the Android OS would most likely be a one way ticket out of the Open Handset Alliance, it is clearly a very risky move. Most Android OEMs are better served looking at alternative means to differentiate, as attempting this strategy could very well put an end to their mobile ambitions. Why do bloggers consistently forget that there was and is a Nook Color. It was and is at a compatible price point and forked Android at least a year before Kindle. Amazing how myopic people can be. While I do agree, that I mis-stated the Kindle Fire as the first mover in the market, that doesn't take away from the point I was making.